Asserting there is 'no scandal' in the Rafale deal, Dassault Aviation, makers of the fighter jet, Wednesday said it was also in the race for 110 aircraft for the Indian Air Force, for which the government had floated an RFI last year. The RFI (Request for Information) or initial tender for the deal was issued by IAF in April 6 2018, the first mega procurement initiative for fighter jets. This was after the government scrapped the process to acquire 126 Medium Multi-Role Combat Aircraft (MMRCA) around six years ago. "There is no scandal in the Rafale deal. We are going to deliver 36 aircraft. If the Government of India wants more aircraft, we will be pleased to deliver. There is also an RFI for 110 aircraft and we are in the race because we feel Rafale is the best aircraft and we have our footprint here in India. 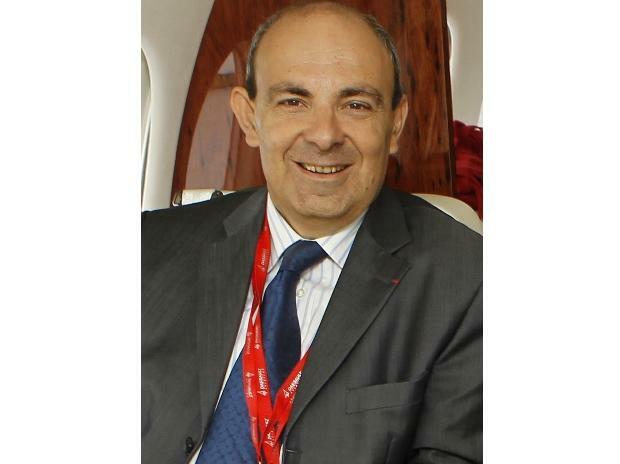 So we feel confident here in India," Dassault Aviation CEO Eric Trappier told reporters here. Asked why Dassault had partnered Reliance despite that company's lack of experience in making defence equipment, Trappier said: "Yes. But I have the experience. I am transferring this know-how and experience to the Indian team. The Indian team has been appointed by a new company Dassault Reliance Aerospace Limited (DARL). They are good for India and the company. So where is the problem?" The deal had raised a political row with Congress relentlessly accusing the Narendra Modi-led government of extending the benefit to industrialist Anil Ambani owned Reliance by firming up an overpriced deal of Rafale jets. The opposition has been keeping the pot boiling over the deal and made it their electoral campaign for the coming 2019 Lok Sabha elections. India had signed a deal with France in 2016 for 36 Rafale fighter jets. Asked the reasons for Dassault going ahead with partnering Reliance despite that company's financial problems, Trappier said, "They have their own matters, but we are working together. Our teams, both Indian and French, are working well. So I have no worry for the time being." Trappier also said they chose Reliance as he wanted to be in charge of the industrial process in the company that manufactures parts of the French aircraft in India. "I invested my money to have facilities here in India and I found partners," he added. On Rahul Gandhi's charge that Rafale prices were escalated during NDA rule compared to UPA rule, Trappier said both nations made a rebate of about nine per cent compared to the original pricing. The CAG report saying that the Rafale pricing was 2.8 per cent cheaper during NDA rule compared to UPA's showed that the pricing was better, Trappier said. Also, the Supreme Court had said that the deal was totally transparent and hence he was 'very much pleased' with these two observations. To a query, Trappier said it was sad that politics has taken a front seat in the Rafale deal. Instead, discussions should have been around the importance of having the fighter aircraft for India's defence needs, he said. "Rafale has high performance capacity. The air force officials have examined the aircraft. This fighter will be one of the backbones of the defence of this country," he said.